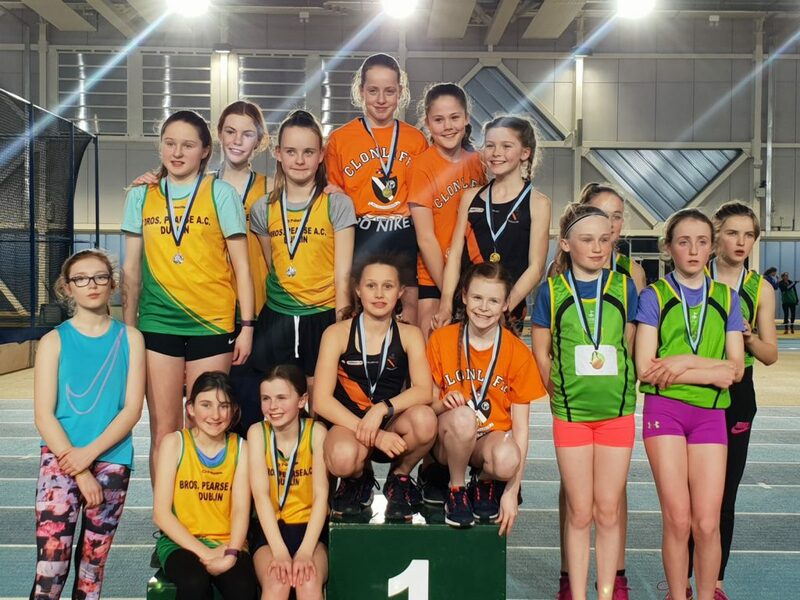 The indoors continued this weekend in Athlone IT. 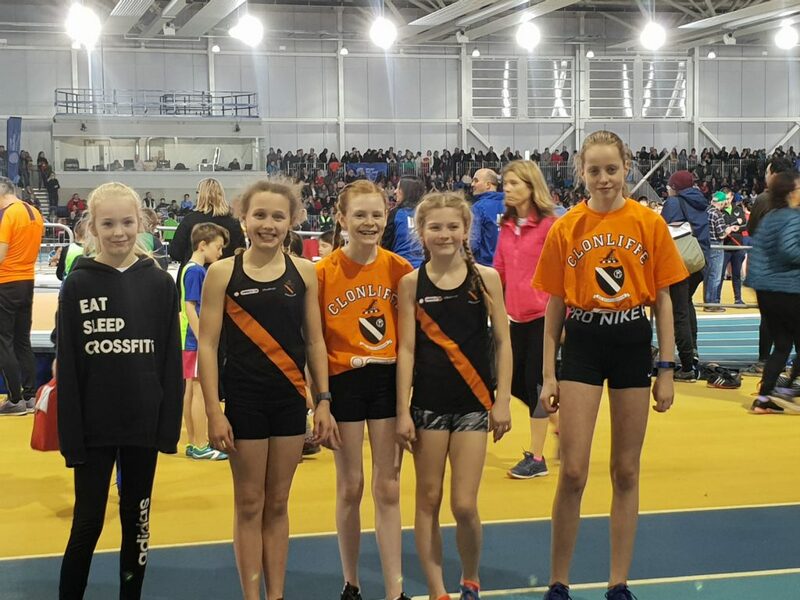 There was a great performance put in by the club’s U/13 girls relay squad of Kate Campbell, Rebecca Walsh, Sarah McDonnell, Ave Usanova and Sally Anne Nyberg to get through to the final as a result of a 3rd place heat finish and then to place 7th in the National final. 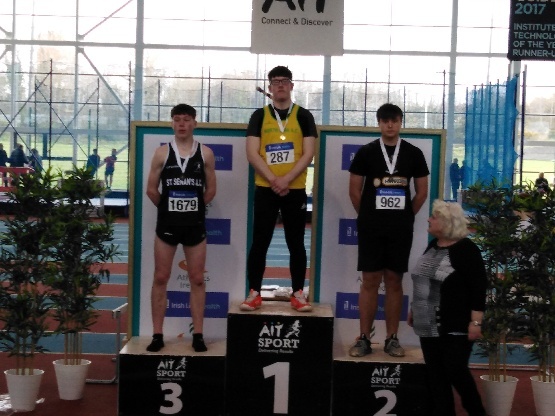 On day 2 of the National Juvenile Indoors at Athlone IT today Jonas Norvaisas took a fine silver in the U/16 boys shot (13.34m). 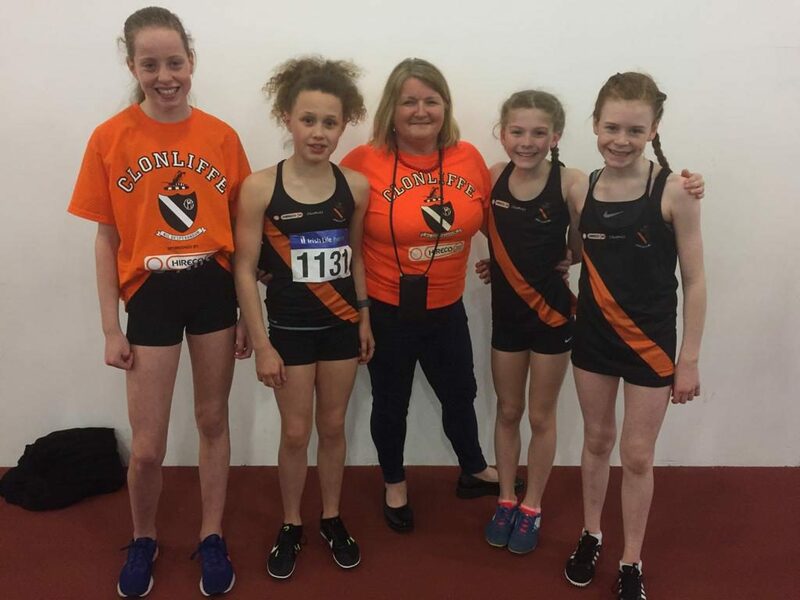 The few Clonliffe athletes competing at the National Juvenile Indoors at Athlone IT were out of luck today with both Sally Sumola and Val Strogonovs placing in that unlucky 4th place in their respective 60 finals. 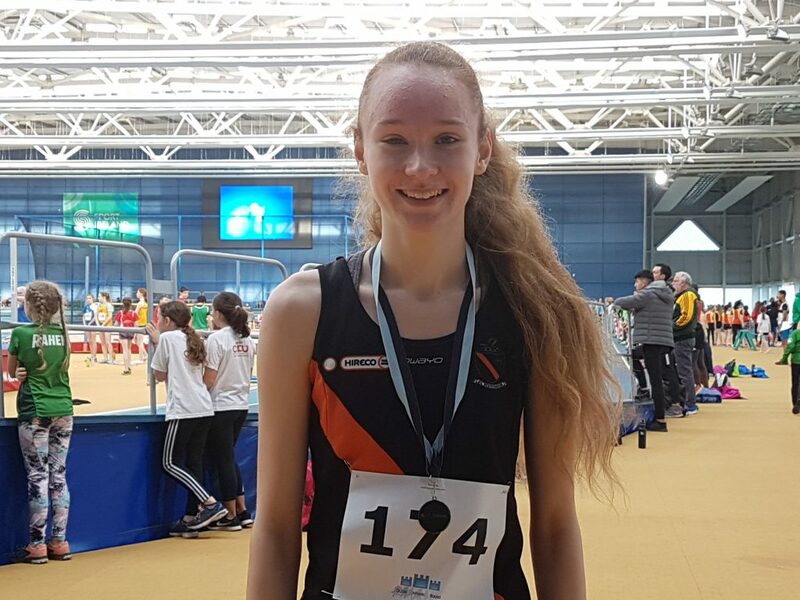 Sally had qualified for the U/16 final as a fastest looser after an 8.00 run in her heat and went faster in the final 7.99 to place 4th. 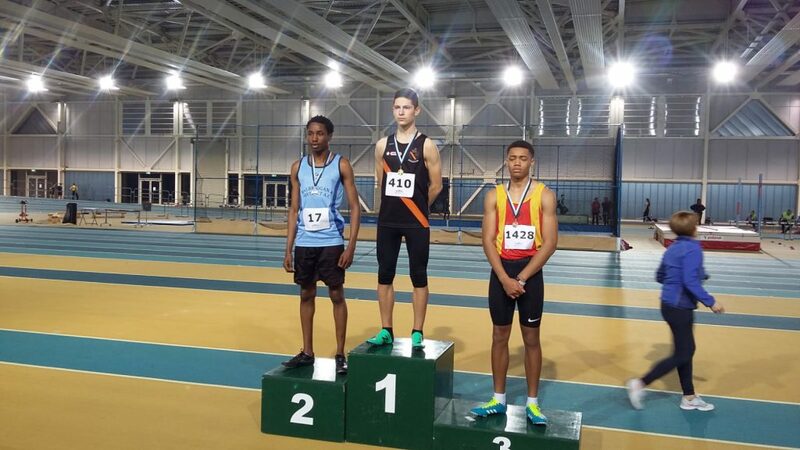 Val in the boys U/17 60 had similar fortunes 7.22 in his heat and 7.16 in the final also for 4th. 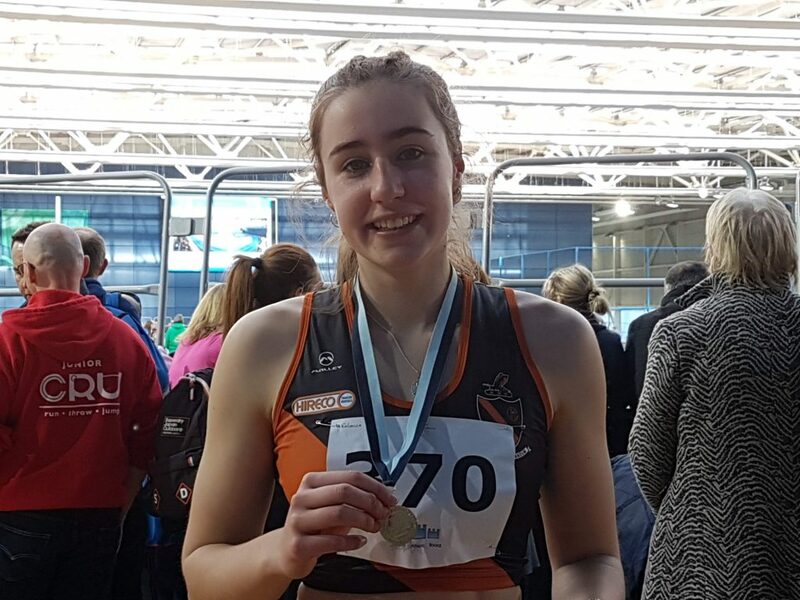 Alex Twomey was 5th in the girls U/17 60 in 7.90. 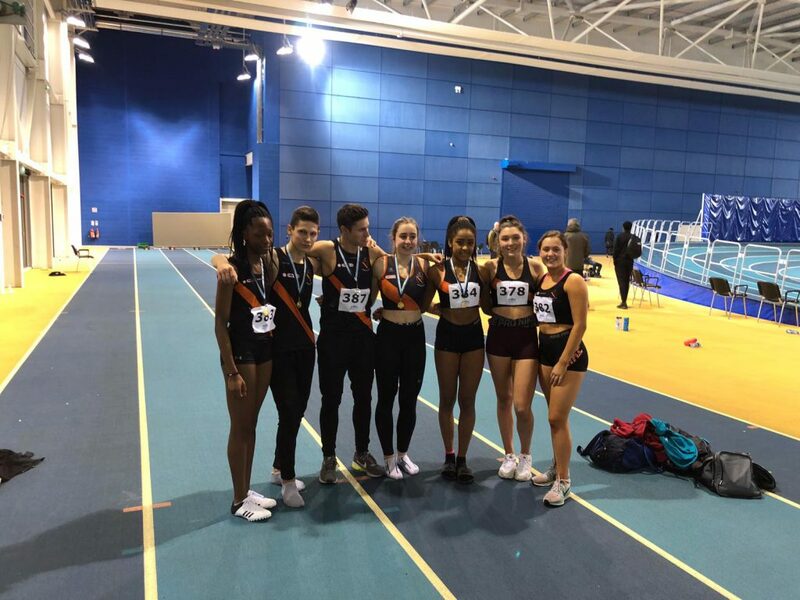 Attached to this is the Juvenile Captain’s end of year report which sets out the magnificent achievements of our juvenile athletes over the course of 2018. 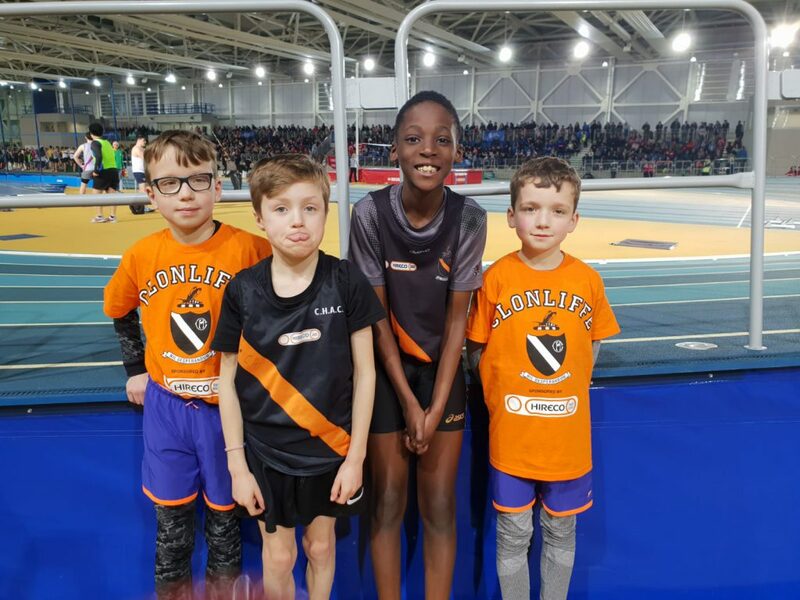 I am sure Gladys will be happy to give the credit for this fantastic report which was prepared on her behalf by Sarah Bateson. 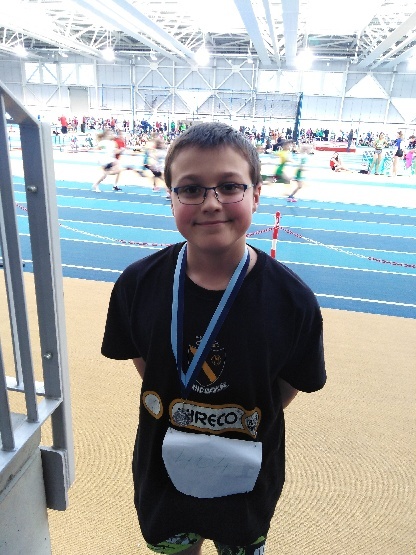 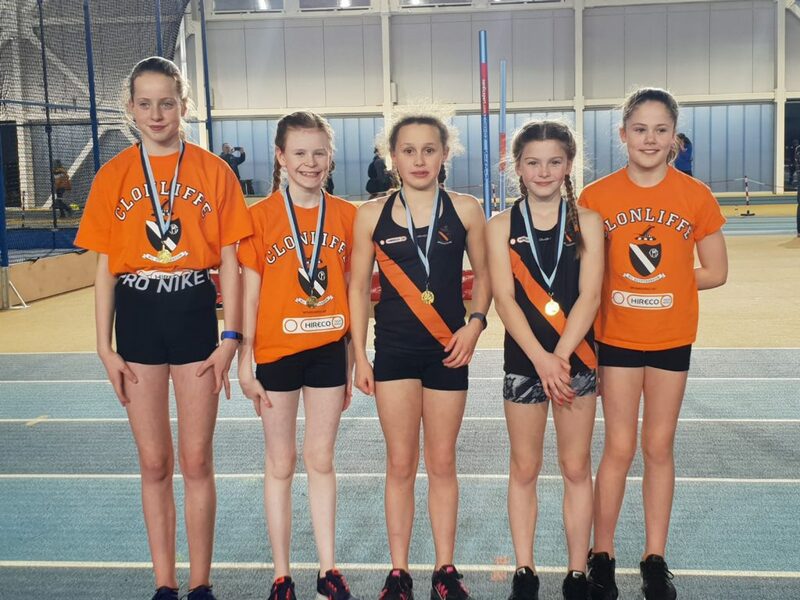 An impressive body of work setting out all the extremely impressive performances of our juvenile athletes at indoor, outdoor and cross country championships (for both club and school). 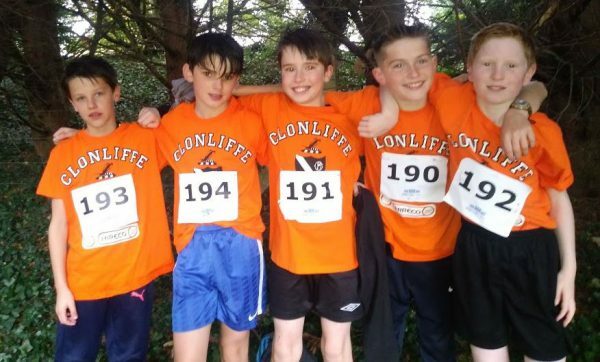 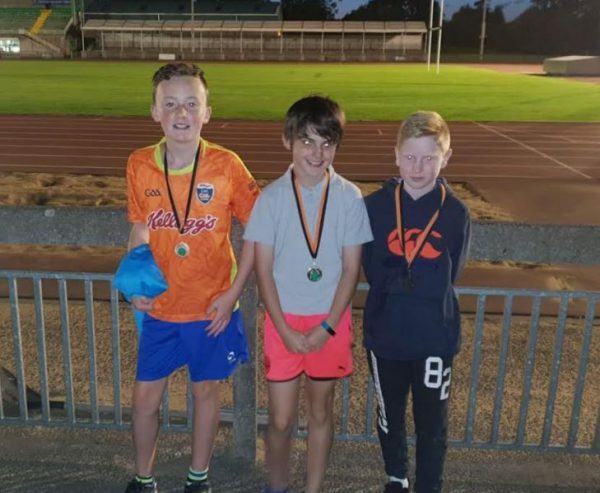 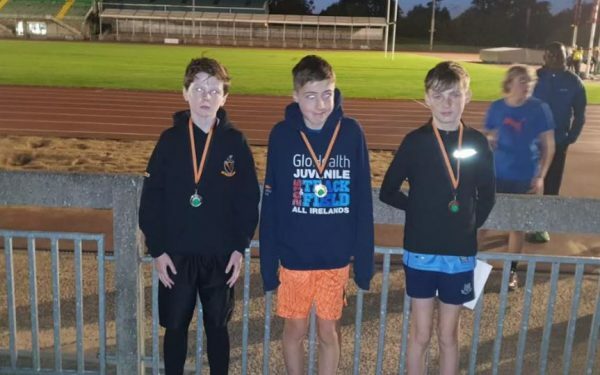 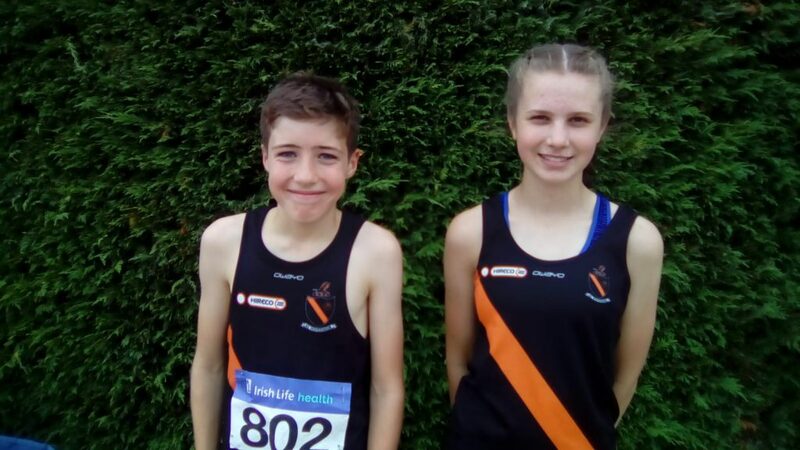 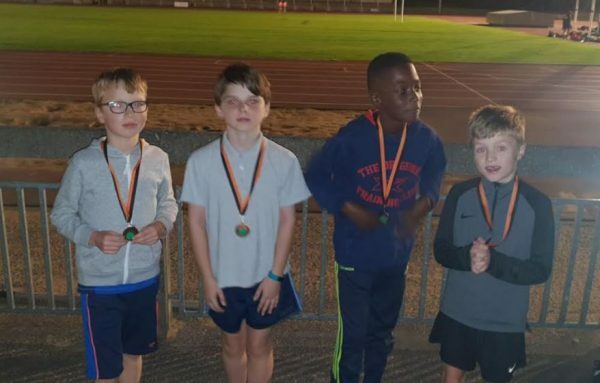 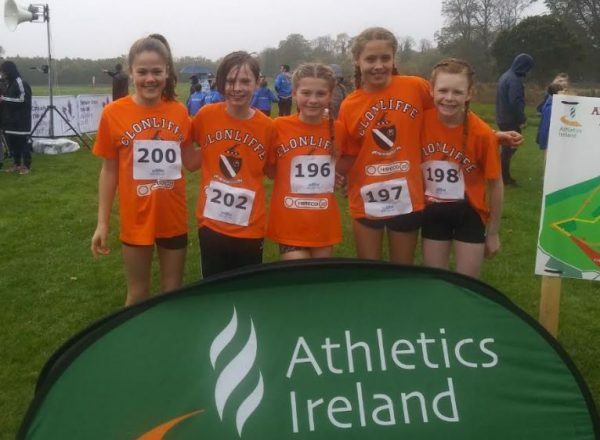 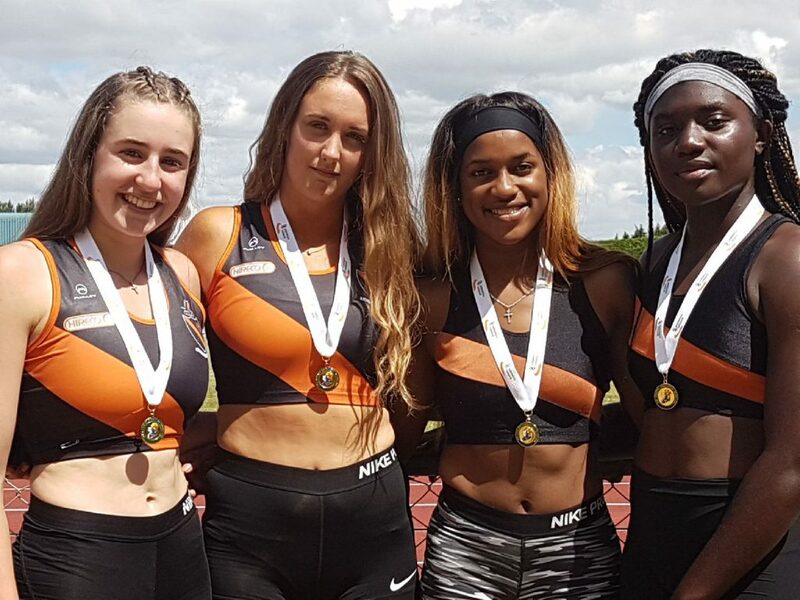 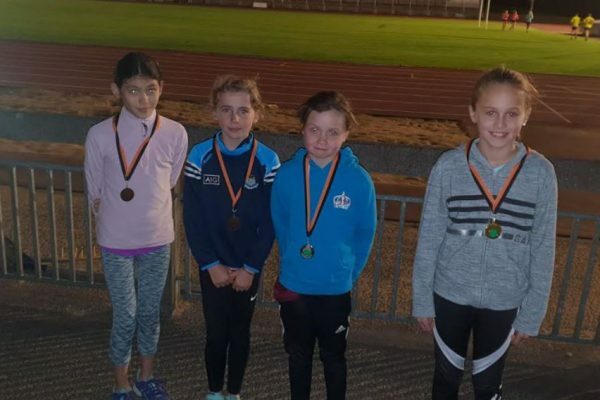 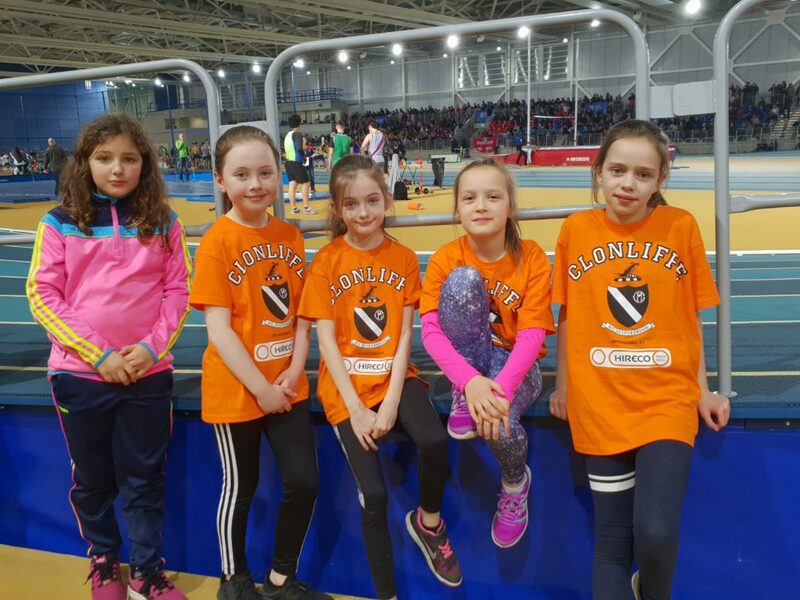 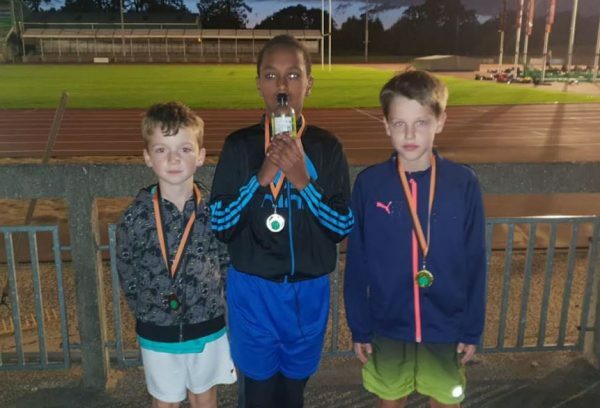 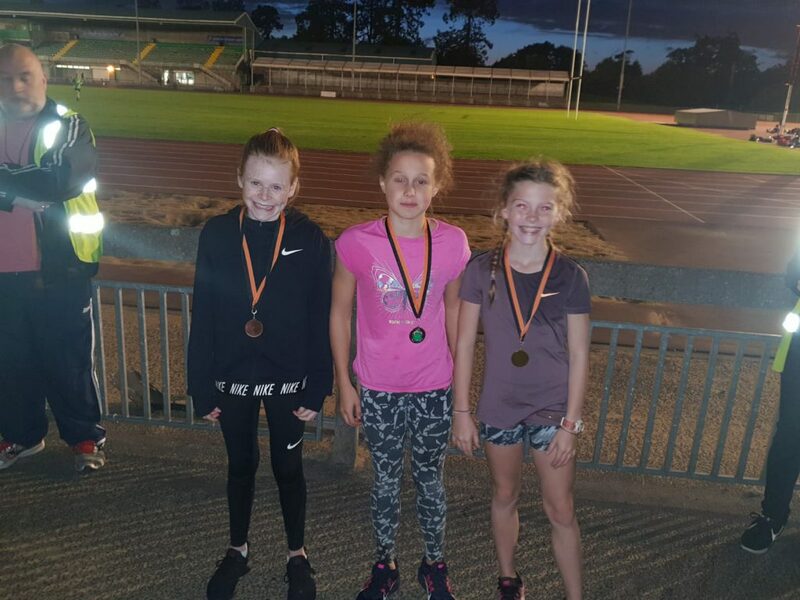 Clonliffe athletes were in excellent form once again at today`s continued National Juvenile Championships in Tullamore and in a welcomed change it even rained! 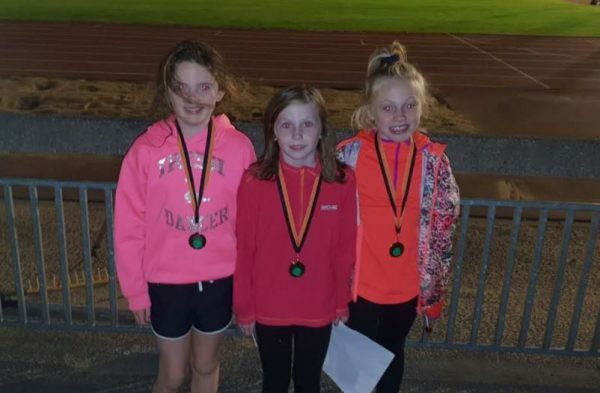 There were fantastic efforts from all in the 3000s. 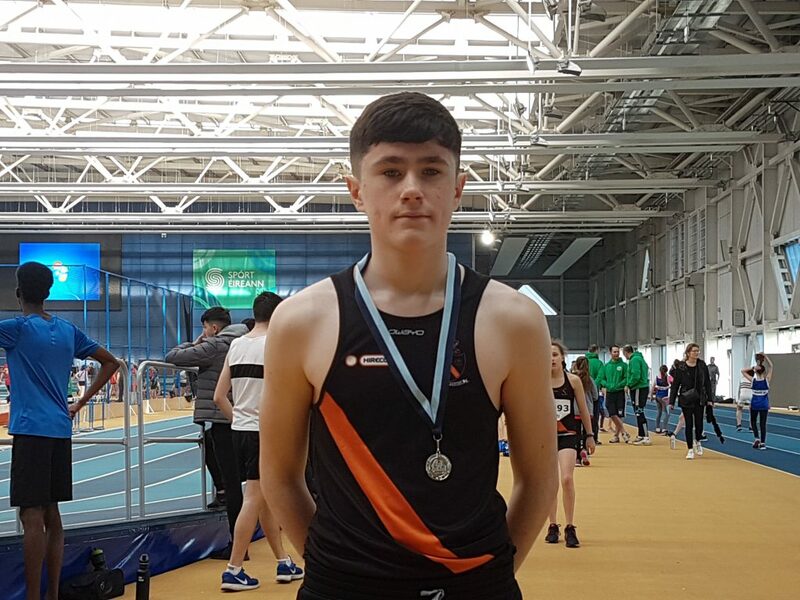 First off Alex Murray in the U/17 boys race dragging himself back from the dead to rally over the final 300 and grab national bronze. 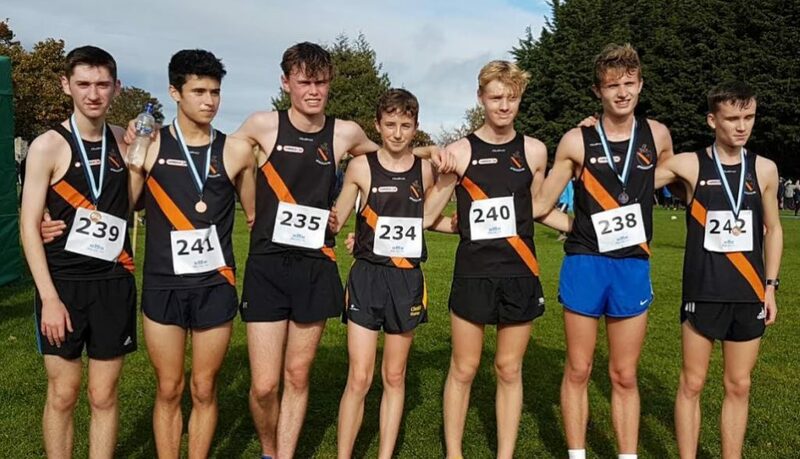 Great runs then followed from the four guys in the U/18 race, Aaron Cullen 4th (9.03.17), Daniel Stone 6th (9.18.59), Ben Guiden 7th (9.19.77) and Thomas Baltzar 11th (9.43.64). 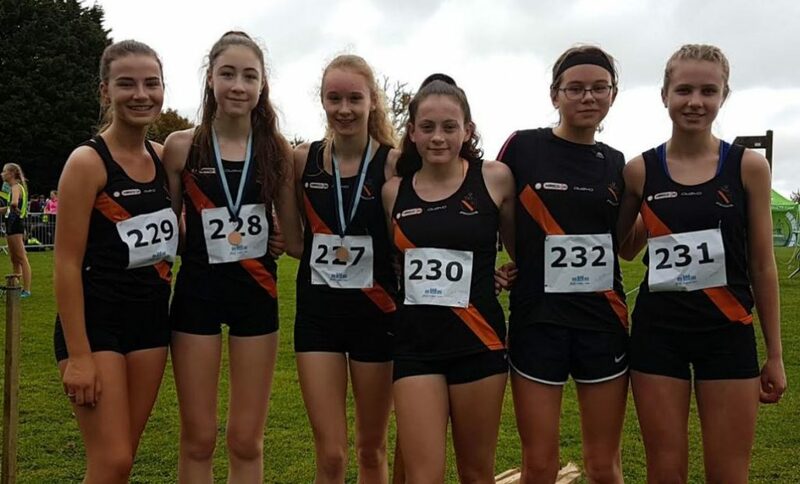 In the girls U/16 & U/17 it was combined leading to 21 starters! 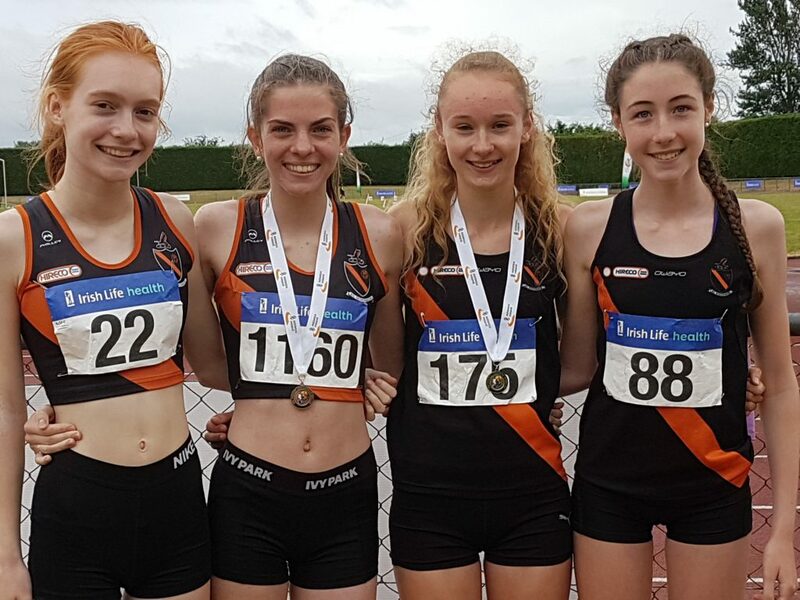 Sarah Bateson put in her best race to dated to take bronze with a mere couple of seconds separating the medals, a pb of 10.46.32, Abbie Sheehy also ran really well to 6th (11.18.91). 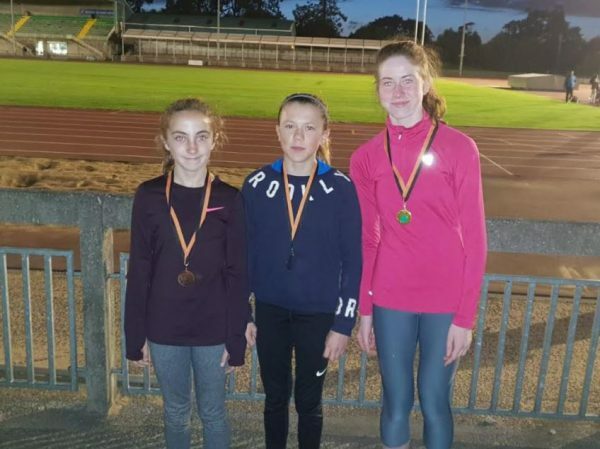 Also putting in a fantastic run was Aiofe Hession to take national U/16 silver (11.27.98) great reward for her year long dedication and a really brave run by Alena Fitzsimons once again putting an injury to the back of her mind to place 7th (11.52.51). 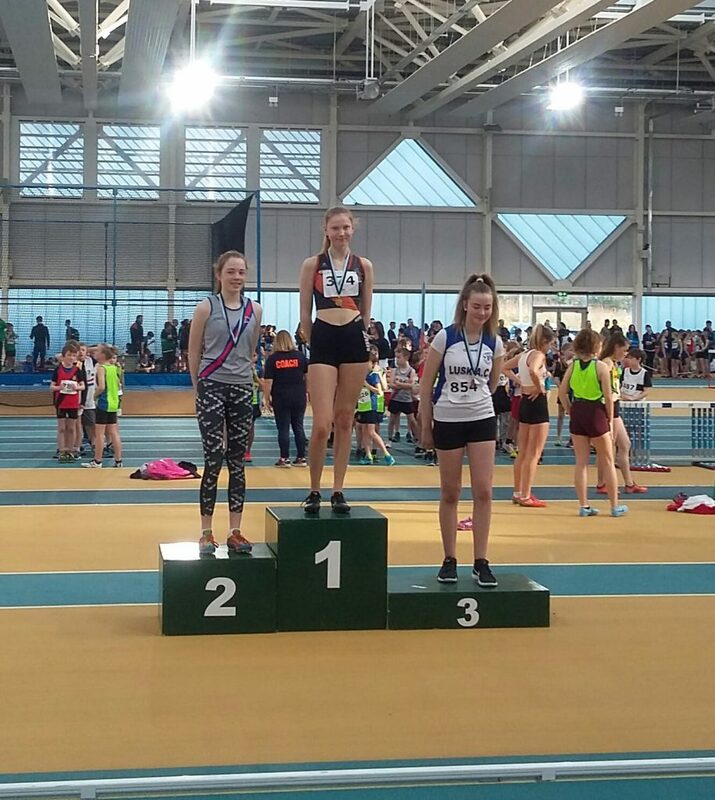 Another athlete to take silver was Sally Somula in the U/15 100 12.70, excellent stuff, Sally also place 5th in the long jump (4.00m). 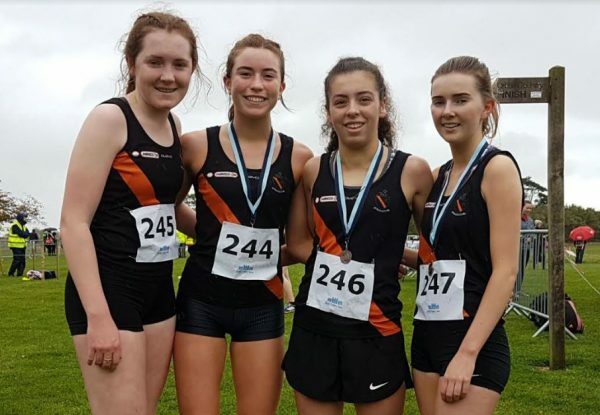 Lauren Carr was 5th in the U/19 400 (61.05), unfortunately Rebecca Fitzsimons had one of those days to forget. 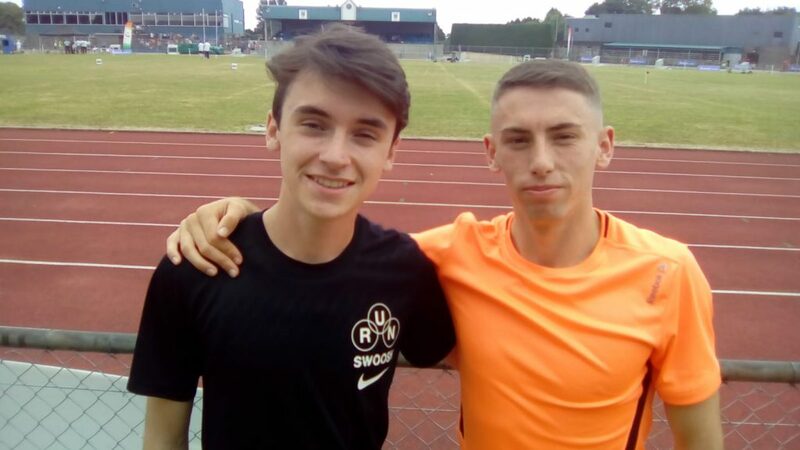 Better days ahead. 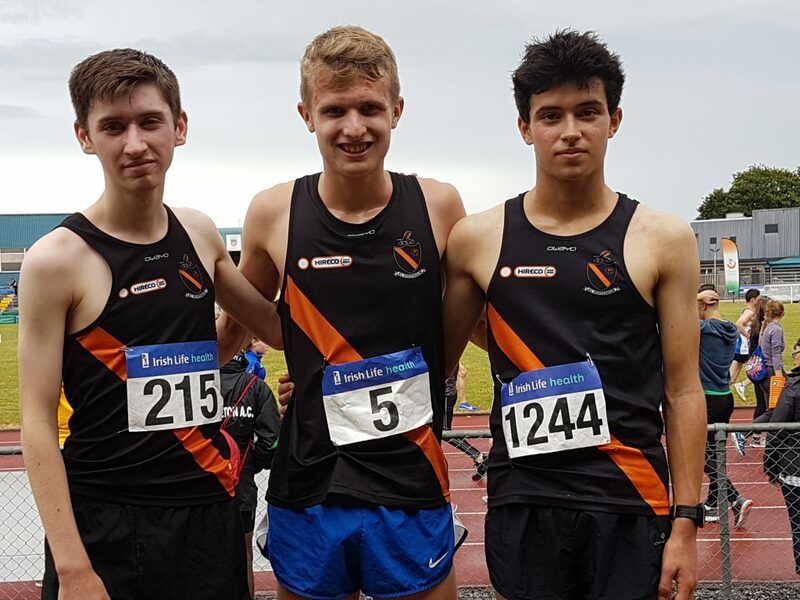 A very short report: Craig Giles took U/18 800 bronze 1.55.52, after a 2.00.89 heat. 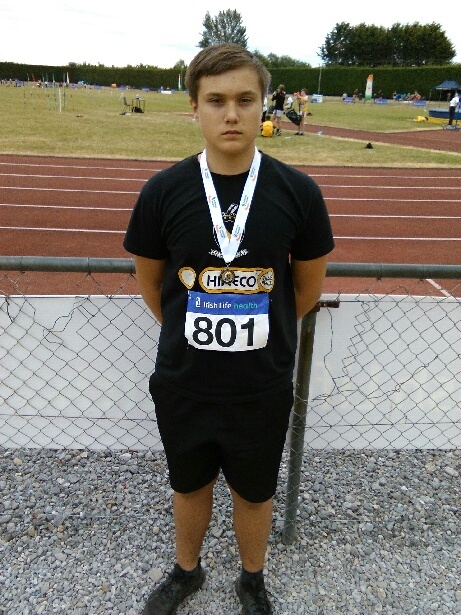 Jonas Norvaisas won U/15 silver in the shot. 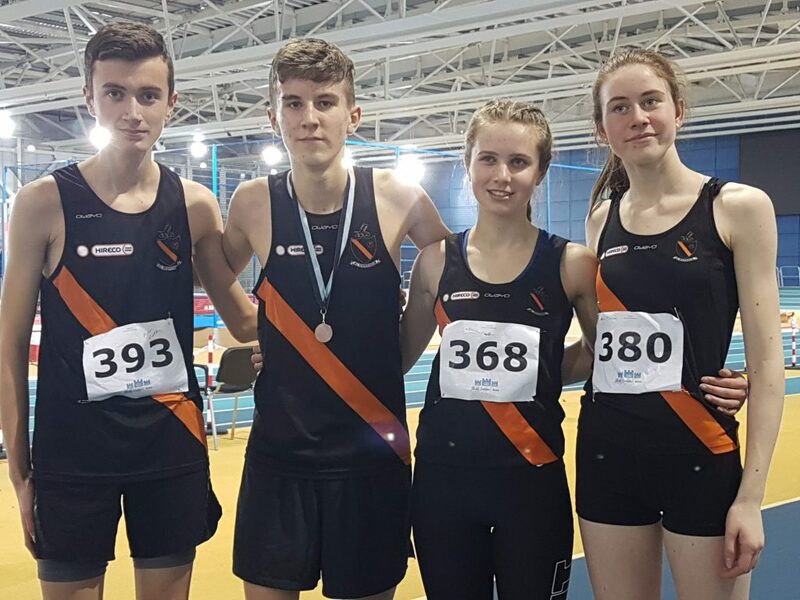 Good battling performances by the rest of the crew: Emma McDonnell 7th U/16 high jump 1.50m, Natalia Burtenshaw 11th U/15 high jump (1.40), Joradan Byrne 4th U/19 steeple chase, Cian Bolger 13th U/18 800 (2.04.36)Naoise Cullen 12th U/16 800 (2.35.46), Jack Woods 13th U/15 800 (2.21.31), Jonathan Fitzsimons 14th U/14 800 (2.26.55). 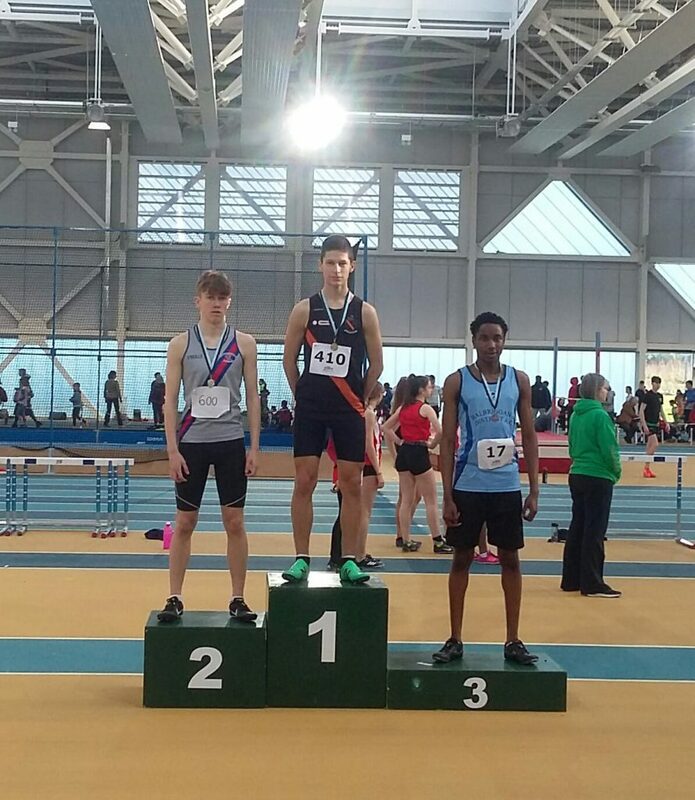 In The U17 long jump Kristian Bosnjak was 9th. 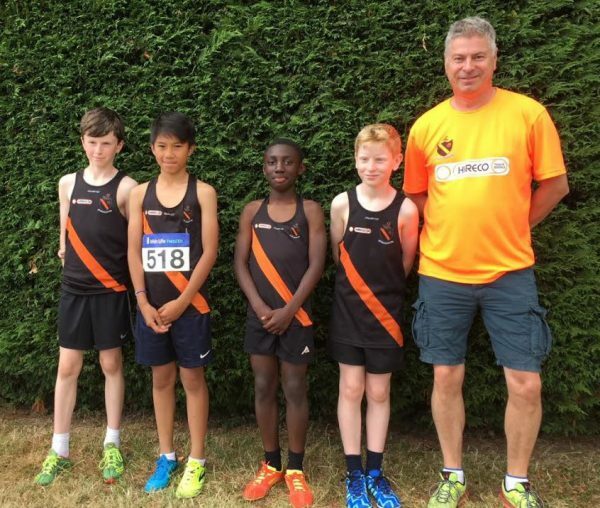 There was great success for the Clonliffe relay squads at sun drenched (isn`t everywhere nowadays!) 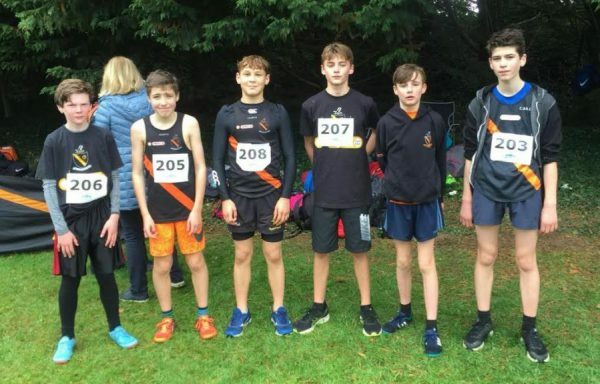 Tullamore today at the National Juvenile uneven ages relays. 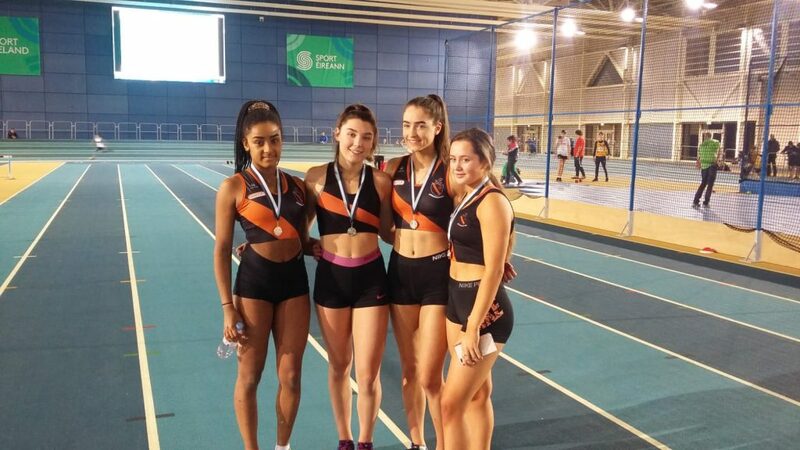 The U/19 girls 4 x 100 take pride of place with the team of Rebecca Fitzsimons, Rapha Diamond Ebbs, Lauren Carr and Jesscia Dediku taking super gold. 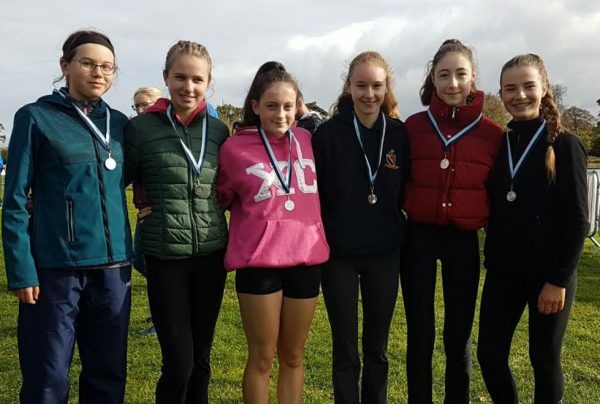 The U/17 girls cross country, sorry 4 x 400 relay, team of Vicky McDonnell, Abbie Sheehy, Sarah Bateson and Cara Curren Beggs took silver. 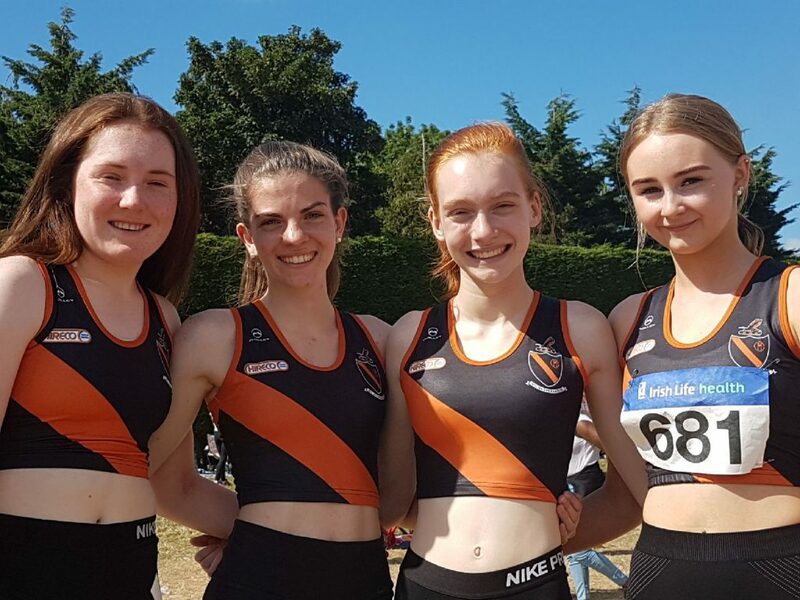 In the younger age groups the U/15 girls 4 x 100 team of Paula, Sally, Orla and Naoise battled through heats into the final where they were just out of the medals in 4th place. 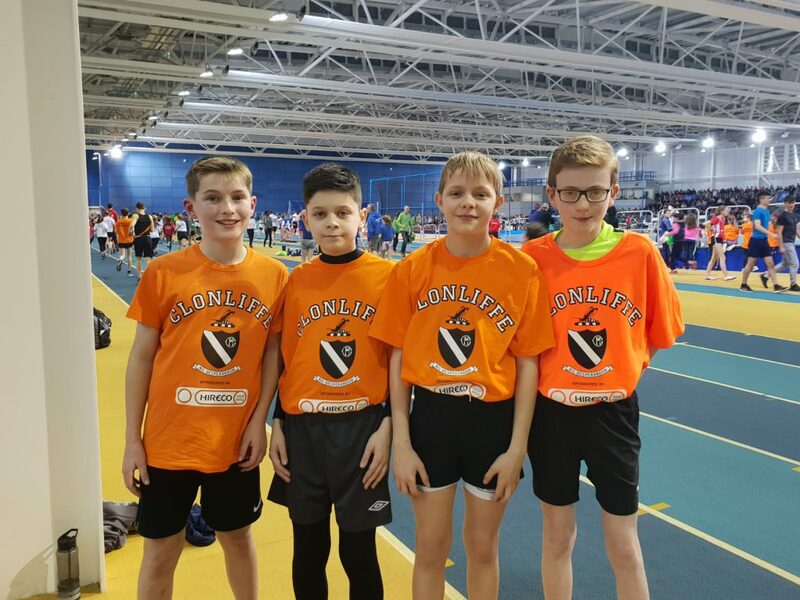 Likewise the U/13 4 x 100 boys Zion, Christian, Michael, Karl and came through heats and placed 7th in their final.